While electric cars make headlines, a number of electric buses have silently made their way onto U.S. city streets as well--and they're proving that they can go the distance. Proterra, for instance, has now set a record for the most miles traveled by an electric bus in a day, according to Charged EVs. As part of a test conducted last month, one of Proterra's plug-in buses traveled 700 miles in 24 hours, over a route designed to simulate both urban commuter and central business-district routes and drive cycles. The bus was driven at an average 29 mph with the HVAC system running, and was charged periodically throughout the day using Proterra's own fast-charging stations. Proterra says the bus averaged 27 MPGe, which it claims is six times that of a conventional diesel bus in comparable conditions, and seven times that of a compressed-natural gas (CNG) bus. 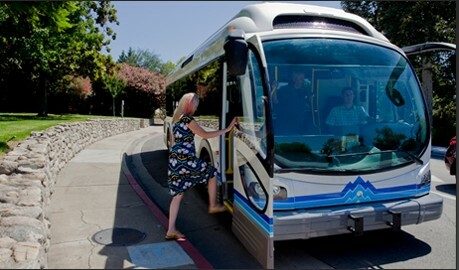 Proterra electric buses currently operate in San Antonio, Texas; Worcester, Massachusetts; Reno, Nevada; Pomona and Stockton California; and Tallahassee; Florida. Additional buses are expected to enter service in Nashville and Louisville soon. South Carolina-based Proterra also bid on a Los Angeles electric-bus contract, but lost to Chinese carmaker BYD. The decision to buy buses from a Chinese company proved controversial in LA, but even more so in the nearby California city of Long Beach. 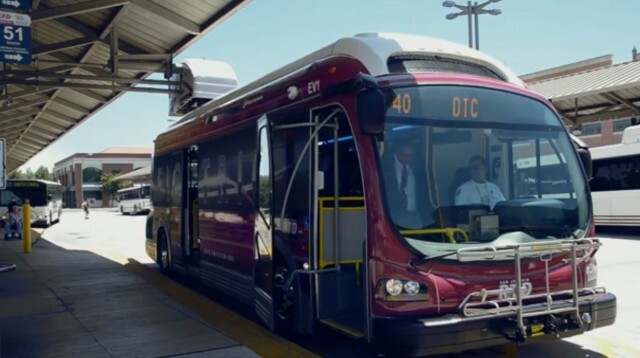 The Long Beach contract for 15 buses was put on indefinite hold after the Federal Transit Administration blocked the purchase, saying BYD was not eligible to bid for the Federally-funded contract because it had not supplied adequate documentation. Faced with the loss of Federal funds, the city and the Chinese carmaker elected to terminate the existing contract, but BYD--which stands for Build Your Dreams--will participate in a new round of bidding. A BYD electric bus achieved 155 miles of range in a test on Quebec roads in February. One bus currently operates between Denver International Airport and several airport hotels, while around 1,000 have been been built for Chinese cities.